Less than a week after President Donald Trump announced his intent to withdraw US troops from Syria, claiming that the Islamic State militant group (ISIS) had been defeated, the American-led coalition fighting the group has revealed it "removed" hundreds of ISIS fighters in the war-torn Middle Eastern country. Meanwhile, Turkish-backed Syrian opposition fighters said this week that they are preparing to move into eastern Syria alongside Turkish troops as USA forces withdraw and were massing on the front line of Manbij town. Ankara regards the YPG as terrorists and has been infuriated by USA support for the group in the fight against Islamic State. Trump announced last week that he intends to withdraw the USA troops, who have been part of a coalition battling the Islamic State, claiming victory over the terror group. 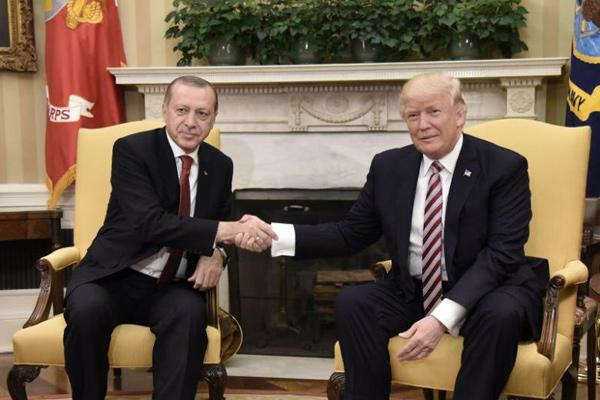 Erdogan's spokesperson said on Monday that United States military officials will come to Turkey this week to discuss coordination on Syria. Russia, alongside Iran, has propped up Syrian President Bashar al-Assad, while Turkey has backed various rebel groups. The SOHR said that Turkey has instructed its rebel allies to temporarily hold-off on launching a planned attack. "We, as the Syrian Turkmen Assembly, the only legitimate representatives of Syrian Turkmen, do not recognise this declaration", said the Assembly President Muhammad Wajih Juma, referring to a letter released by pro-YPG sources that rejected Turkey's cross-border operation. The US backed the Kurdish-led forces in oil-rich eastern Syria for four years in the fight against ISIS militants, and its withdrawal will leave the area up for grabs. If Turkey were to fight ISIS alone and then left the battles to Syrian Arab proxies, "militarily weaker" than the extremists, it would not be very effective, Khatib said.